Though social media has been around for more than a decade, and is an everyday engagement for any person who owns a phone, it's amazing how so many brands are still not 'social'. They still operate using the broadcast model; while most have tried to make steps in the right direction, we still see clients throw money at ads online with little dedication to follow-up on customer inquiries. DO YOU HAVE A COMMUNITY MANAGER? Only in recent years have we seen the role of a community manager make an entrance, and the understanding of what this role entails and the amount of time required to upkeep a social community is often underestimated. If you are trying to get people to notice your brand online, build engaging content, find the right influencers, respond to user comments and build brand loyalty - that is a full-time job. Creating content, posting it and then sitting around waiting for people to respond to your content is a passive tactic, and with so much noise in the online space, it's necessary to do more than that. For example, if we had a restaurant client, we would find foodies in the city or people who have visited similar restaurants recently to invite them to visit our client, share their thoughts on our menu and provide feedback. We live in an age of interaction, not broadcasting. If you have an excellent content strategy and produce awesome content, you still need to spend the time to actively engage your readers and build the audience. How many of us are lucky enough to acquire an account or brand where it already has hundreds or thousands of followers? 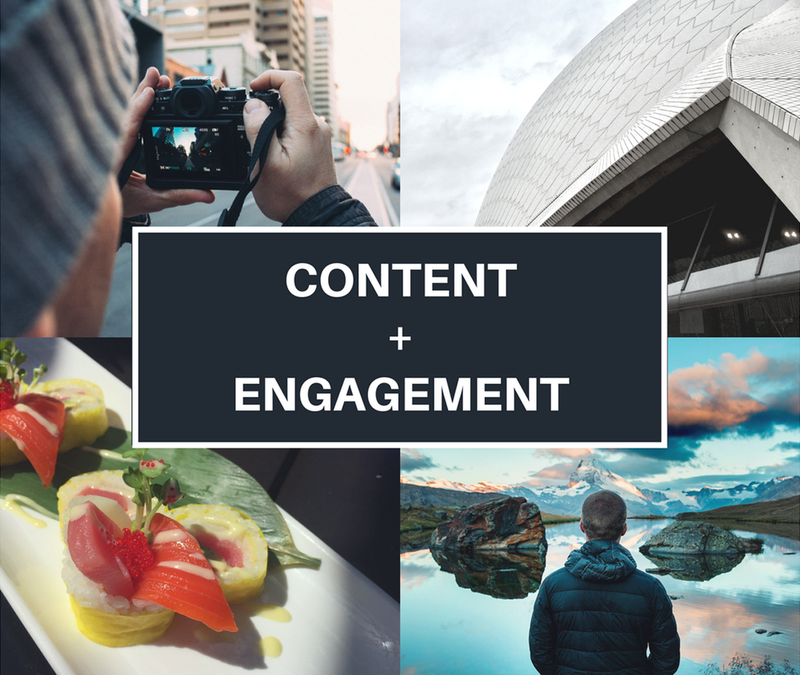 Usually we have to build from the ground up, so there should be an interaction / engagement strategy as well to compliment your content strategy. Ask them for what makes for a great product or service in your industry - then take their advice and input and actually do something with it. Ask your customers for what improvements they would want to see to your products. When you do implement changes based on their feedback, make sure to give them credit. See who has been visiting your store or acting as an advocate for your brand online - it's free PR and we know word-of-mouth marketing is still the strongest form of marketing that is likely to convert a customer. GO THANK THEM! All of the above are pretty easy to implement. So why aren't you doing it right now?